Are you inside out or outside in?" Are you inside out or outside in? No, this month's issue is not about bellybuttons -- "innies" and "outies." It's about what is running your life. Are you influenced by a solid inner core (inside out), or are you influenced by exterior circumstances (outside in)? Most of us would have to admit we're affected by both, although one system tends to dominate. Too often we singles are products of the world around us, especially our friends and family. That creates problems. The people you hang with may not be the best role models. You imitate them to fit in and avoid criticism, but you can get into trouble. Then there's the news. Yeah. Who doesn't get shook up by terrorism, violence, cruelty, and crude behavior? It's all around us and hard to avoid. There's a better way, and we'll learn about it in July's feature article. I think it's important for you to know this because God thinks it's important. You'll find mentions of it throughout the Bible, God's book of wisdom. We're going to bring those into focus to try to help you become a more secure person. Don't confuse this with any fancy business strategies or psychological games. In the end, it's about priorities. Let's discover the advantages of being inside out. and good at what I do. my work is never through. the selection is quite large. but others will take charge. or have too much in store. then begs me to make more. when weekends reach their prime. with the simple power of prayer. One of the most common excuses people give for not reading the Bible is, "I don't understand it." But thanks to study Bibles and the New Living Translation, that excuse isn't valid any more. The Bible, quite simply, is a life-changing book. It has answers you will get no where else. It's better than a therapist because it is God speaking to you, and he is the Great Healer. Reading the Bible can make you wiser, kinder, calmer, and more confident. In it you meet the Father God who loves you passionately, and your Savior, Jesus Christ, who died on the cross so you can get to heaven. If you don't like the way your life is going. start reading and studying the Bible every day. First you will begin to change, then your life will change too! To build something worthwhile, you need a plan. 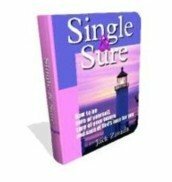 You'll find a plan to build a better you in my ebook Single & Sure. But this is no bare-bones blueprint. This giant, in-depth PDF format ebook will give you real, down-to-earth help to win over loneliness, frustration, heartaches, and self-esteem problems. You'll benefit from my nearly 40 years' experience as a single person. By learning from my trial and error, you won't have to go through many common mistakes yourself. My pain, your gain. In addition, the f'ree bonus books will help you take control over your money, find a hobby that enriches your life, and pick yourself up when you're feeling down. All this for only $9.97, and with a money back guarantee to boot! You won't find real-world tips on the single life like this in any book store. Get the inside right, and soon your outside world will reflect it too. Check out all the details on Single & Sure. As I've told you several times in these newsletters, my Dad, John R. Zavada, was a wise man who taught me many valuable things. "You can't learn anything when you're talking. 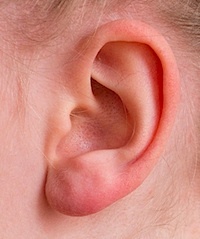 You only learn when you're listening." I don't think that was original to him, but it's good advice nonetheless. When I was younger, I talked too much. I was insecure and tried to impress people with how much I knew (or thought I knew). I did the same thing over most of my working career. Looking back, I wish I had talked less and listened more. Things that are in large supply, like gravel, aren't worth much. Things that are scarce are considered precious. Try to make your words as precious as gold, not as worthless as gravel. We singles, especially, tend to babble on because we don't have anybody to listen to us at home. Now I'm careful about what I say and how much I say. I also listen better, paying close attention to what the other person is saying and not thinking about my clever comeback. Other people have a lot of worthwhile things to teach us. I expect my Dad was so wise because he learned a lot by listening. I hope you'll keep that in mind so you can become wise too. Whenever I find myself frustrated by the things I don't have, I switch my focus to the things I do have. Counting your blessings is an old idea, but I can tell you that it does work. * The hope of heaven! Something else that keeps me optimistic is always having something to look forward to. It doesn't have to be anything expensive or elaborate. It just has to be something you enjoy. I think this is one of the real secrets to an enthusiastic life. Always be planning something good. Always have goals you're working toward. 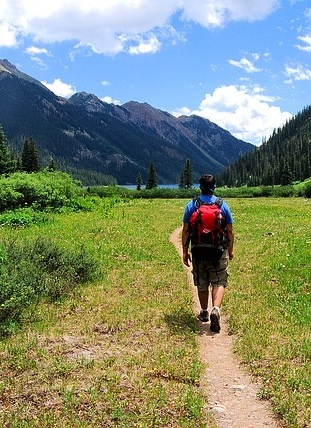 Have something fun in your future to keep your eye on, and you'll keep hiking in the right direction! There's your July Inspire-O-Gram, fellow singleton, a little later in the month than usual, but when it's fr'ee, who's to complain?